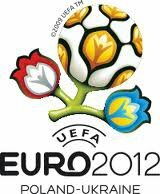 On 7 October 2011, Shred Station sponsored the Uefa Euro 2012 Group G qualifying game between Montenegro and England at the Podgorica Stadium. Entering the game knowing that a point would be good enough to secure their place in the finals, Shred Station’s sponsorship proved lucky as Fabio Capello’s men drew 2-2 with Montenegro. Scenes of jubilation at the final whistle, Shred Station were proud to be present and support the England team in their victory.